Burgos-BH has decided to skip the first competitions of the 2019 season in order to focus on a project to fight the use of doping. The team has had three Adverse Analytical Findings in its ranks: Ibai Salas, David Belda and Igor Merino. This put Burgos-BH at risk of a suspension by the UCI and has encouraged them to take further steps against doping. The riders, directors, doctors and every other member of the team will be part of a concentration in January and February of 2019, which will be focused on the prevention and fight against doping. This means that the team has withdrawn voluntarily from races like the Tropicale Amissa Bongo and the Challenge Mallorca. "We have decided to voluntarily do an auto-suspension from all competitive activities to focus exclusively on the prevention of doping and the self-discovery of our team," said Burgos-BH's general manager Julio Andres Izquierdo. "This concentration will last three weeks, in which we will go through formation activities, dialogues and meetings with anti-doping specialists. "It is essential for us that riders and all the staff understand the importance of a clean sport in which healthy and sports habits prevail and there is no space for the cheaters. We want to be a reference on that field and we will work on that line." The Spanish team has already announced to the UCI its intentions of starting the season later, which will help to put in motion stricter measures against doping. "We will set up a new control system for our riders," explained Izquierdo. "Until now we were mainly focused on the biological passport and the ADAMS. But in 2019 we want to take a step further and we will do internal controls to have an exact knowledge of every one of our riders. 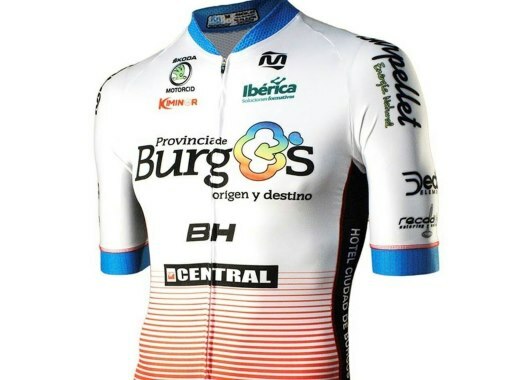 "In Burgos-BH we take seriously the fight against doping, and it shows in the confidence our sponsors maintain on us to the point that the hotel chain Helios has offered us to do our concentration there."